GEORGETOWN, Guyana, Dec. 3, CMC – The government of Guyana could be getting help from US oil giant ExxonMobil, in its efforts to have a judicial settlement of the border controversy with Venezuela. According to News Source Guyana, Government sources have reported that the company has set aside just under US$20 million to assist Guyana with legal fees and other costs that could be incurred once Guyana moves to have the judicial settlement of the border controversy. “Our national sovereignty is riding on this issue and it will be remiss of us if we are not prepared and all resources are not put in place. The actual amount is more than GUY$15 million but less than GUY$20 million. This is not the first time we are going this route as it was done with the CGX Energy and Suriname after the June 2000 incident with the Surinamese coastguard. The PPP was then in office. This is nothing new. This is not a signing bonus, but rather we are garnering the resources to prepare for the case. This is a sovereignty issue,” the source was quoted as saying. 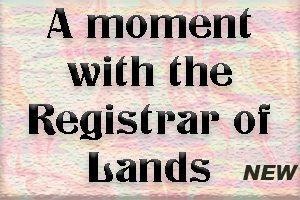 Venezuela contends that the Arbitral Award of 3 October 1899 demarcating the border between Guyana (British Guiana at the time) and Venezuela is null and void. 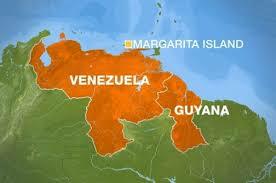 Consequently, it continues to lay claim to two-thirds of Guyana’s territory. In 2015, the Guyana government requested the United Nations Secretary-General to take steps toward a resolution of the controversy using an option from the menu as stated in the Geneva Agreement of February 17, 1966. Further, last year, as a consequence of a stalemate on the matter, outgoing United Nations Secretary-General Ban Ki-moon agreed with his successor, António Guterres, to continue to use the Good Offices Process until the end of 2017 as a means of arriving at a settlement. The government statement said that since his appointment on 27 February this year, Nylander has visited Guyana on four occasions holding talks with President David Granger and Greenidge, among others. In September, the Guyana delegation to the United Nations General Assembly met with the Secretary-General as well as Nylander and held informal discussions with Venezuelan counterparts.